My friend Erin is at the end of her pregnancy, and although it's been a pretty smooth one, she's ready for baby to make her appearance into the world. 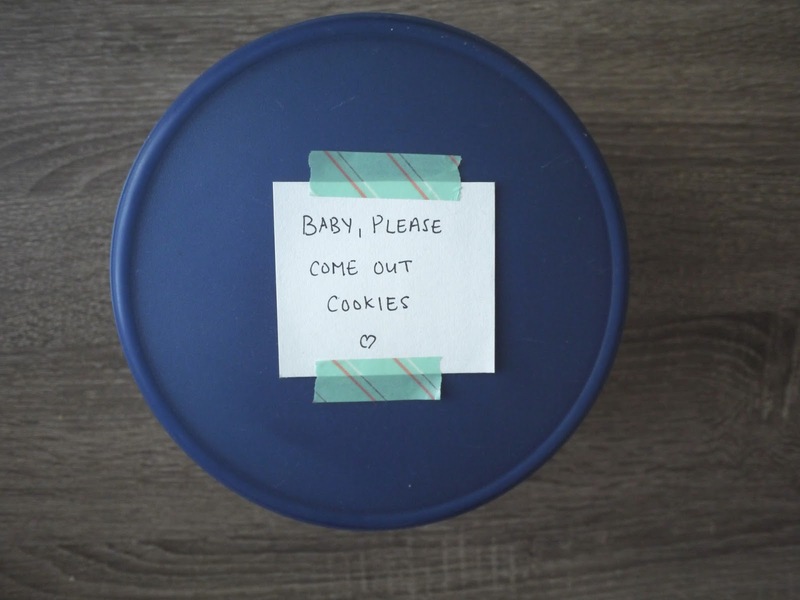 So as a way to coax her out of the womb, I was forwarded a recipe for Labor Inducing Cookies. 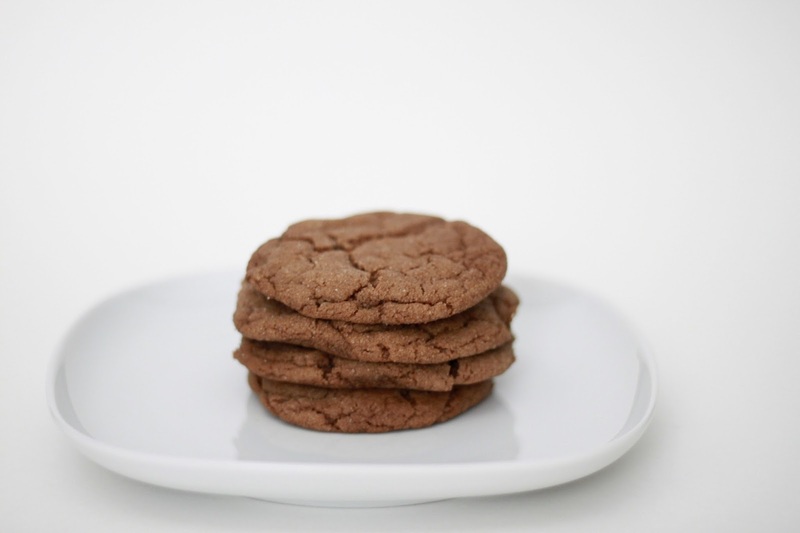 The post for the cookies states that ginger and spicy foods are ways to induce labor. One woman supposedly went into labor after eating the Extra-Spicy Gingersnaps (the link to that story is broken). Well, I'll do anything to help out a friend, especially if it involves baking. Maybe we were a little premature with the cookies (I baked them almost a week before baby's due date) and also maybe baby isn't ready to come out (I also baked them one day after her due date) because Erin is still with child and well fed with cookies. Regardless of the cookie's lack of magical labor inducing powers, these are pretty delicious cookies. Tastes like Christmas---just a little spicier. I couldn't stop eating them and I joked that I was also going to go in labor (with a food baby). The Recipe: Gale Gand's Extra-Spicy Gingersnaps---to be baked when you want to see if they'll help a pregnant friend go into labor or when you're in the mood for a spicy baked good.